The movie, “The Founder,” had the early McDonald’s stores running like a well oiled machine. I still like the Filet-o-fish, although, as food, it is pretty expensive. The niche it filled that night was just right except for one thing, the person assembling it didn’t give a damn. Is it just me, or is this an increasingly prevalent problem? When you are undercharged do you point it out and pay your fair share? Do you test limits? Why didn’t this idiot just toss the fish, bun, cheese, and tartar sauce in the bag and let me screw it up myself. When I asked Chuck Grassley where in the Constitution it gives the federal government the duty to control drug use he said the courts incrementally granted those powers to our betters, so there. Grassley and the rest are only our betters in the sense that we allow it. See the movie “Children of Men,” for a glimpse at the future because of this. On my way home from recording my guest DJ gig with Bob Dorr, I stopped at McDonald’s for a couple filet-o-fish sandwiches. I figured I could eat such a simple thing as I drove home in the dark. Ray Kroc’s rigid standards have influenced my life ever since my first job on Pico Boulevard when I was 16 and saving up for my first car. I used to complain about the blandness of McDonald’s. My dad pointed out that the value of a place like McDonald’s was the sameness. You always get what you expect. In the movie, “The Founder,” Ray Kroc was not nice. He knew that familiarity made people comfortable. He knew his vision depended on that one thing. When one of his stores offered fried chicken in addition to the company’s regular menu, he came down on them like The Deep State on a peace loving president (JFK?). A principled position is the key to success in much of this world. You don’t quit smoking and then bum one once in awhile. If you do, you haven’t quit. When Robert Mugabe led the nationalist Marxist takeover of the government in Zimbabwe he had a grand vision of a society of equals that was not dominated by European colonialists. In the year 2000, the economy deteriorated because of those Marxist ideals. He blamed white landowners for the poverty and pushed for all of the privately held land to be confiscated by the government. Of course the government was called “the people.” It sounded nice. The blacks who had worked for the white imperialists were expected to run the farms. They were not ready for a management role. Crops failed. Money was printed to create an illusion of prosperity that didn’t exist. By 2008, inflation was 100,000 percent. As unfair as a white management / black workforce arrangement was, at least it didn’t produce widespread hunger and poverty. Mugabe’s vision was based on Marxism. It was based on theft. There were too many victims to inspire a society of equality and mutual respect. Mugabe’s vision went awry. He has now been deposed. In all likelihood, another dictator will take his place. The luxury of the life of a head of state can tempt a man to stray from benevolent ideals, especially when the rules restricting his power have a history of being ignored. The rules of our own country have been ignored for a long time now. Signed in 1787, The Constitution was designed to do one thing; limit the power of a central government. The rule of England over her colonies had taught the colonists that central planning, while having noble intentions, was too broad to make sense on a practical level. The evolution of constitutional restraint now has The President traveling all over the world forming alliances with other elitists and creating enemies. Our fear of these enemies convinces us to hand over half the fruits of our labor to government. We are convinced the government is here to correct all injustice, foreign and domestic. The founders’ vision was a government combating force and fraud, enabling the best role in society for each of us individuals. The government we now have is not only intrusive on our freedoms, but ineffective in enforcing its original role because it is too big. It has gone awry. Ray Kroc’s vision of simple, high quality fast food is now long gone. Other companies see an opening. No government intervention to prevent monopolies is necessary. I thank Ray Kroc for showing me the value of consistent high standards and welcome new ideas and people when those standards are corrupted. Not long ago Rock Island Clean Line was threatening Iowa landowners with an eminent domain taking of their property for a power line to supply Iowa wind energy to the East. I have never been a fan of eminent domain. “Just compensation” (cash promised in exchange for property lost to eminent domain) can only be determined by the two parties involved in the deal. This proposed power line project hit close to home. Those of us who have lived in the city and now live in the country don’t take an uncluttered horizon for granted. Farming around and dealing with compaction caused by construction is pretty hard on which to place a value. With “just compensation” for the impact of a power line in mind, let’s consider the cash we’ve had seized for national security. On the radio today a woman was saying that flying is now “not so much” fun anymore. And she blamed “those people… I mean the terrorists.” In the news today it was revealed that the Department of Homeland Security Office of Inspector General did a study on the effectiveness of Transportation Security Administration procedures at airports. They found that 70% of weapons in the test made it through undetected. It looks like “those people” who make flying miserable are more likely TSA agents than the fabled terrorists that have us shaking in our boots. What if the airlines were responsible for the safety of their customers instead of a tax eating bureaucracy? Wouldn’t you choose the airline with the most effective security rather than the security with which you have no choice? A new study by the Watson Institute of International and Public Affairs found that our wars beginning in 2001 have cost $5.6 trillion. The Pentagon’s estimate is $1.5 trillion. The Watson study estimated overall costs compared to if no war had occurred, not just the ammo, fuel, machinery, and so-forth. I tried to find a problem with this, such as Islamic extremists coming over here and covering womens’ faces, banning alcoholic beverages, or stoning adulterers. I couldn’t find any conceivable scenario where Americans would put up with those sorts of things. I also can’t imagine that Americans would be less safe without having spent that $5.6 trillion. In fact, revenge for U.S. meddling was mentioned as a cause of the attacks on the Twin Towers in the 9/11 Commission Report, indicating that the War on Terror has made us less safe. We have not received “just compensation” for our property that was taken to conduct the War on Terror. 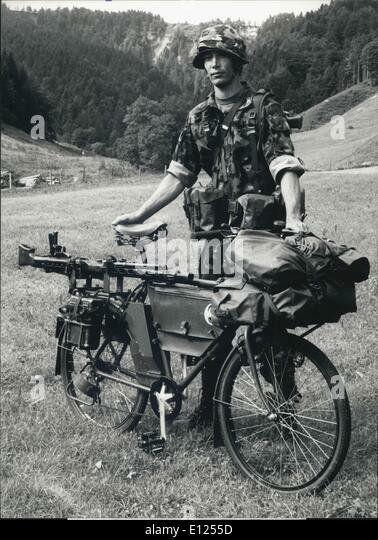 In Switzerland every able bodied man serves in the military. They all keep their rifle when they return to civilian life. Switzerland has a neutrality policy with all nations, thus no enemies. Any potential enemy of Switzerland knows that it is a country full of armed citizens trained to defend what is most dear to them. As we celebrate Veterans Day, let’s consider a new way to honor their service by calling our military to serve when actually necessary to defend our country. The big stick bravado that has maimed and killed so many has caused our military to stray from its mission. Rock Island Clean Line was sent packing. It is a good start. Note: I will be a guest DJ on Bob Dorr’s Backtracks rock and roll history show, November 18 at 4pm. That’s next Saturday on Iowa Public Radio (90.9fm, 91.5fm ect.). I hope some of you can tune in.